Pigner is one of the larvals in the collection that is based on more animal like qualities. 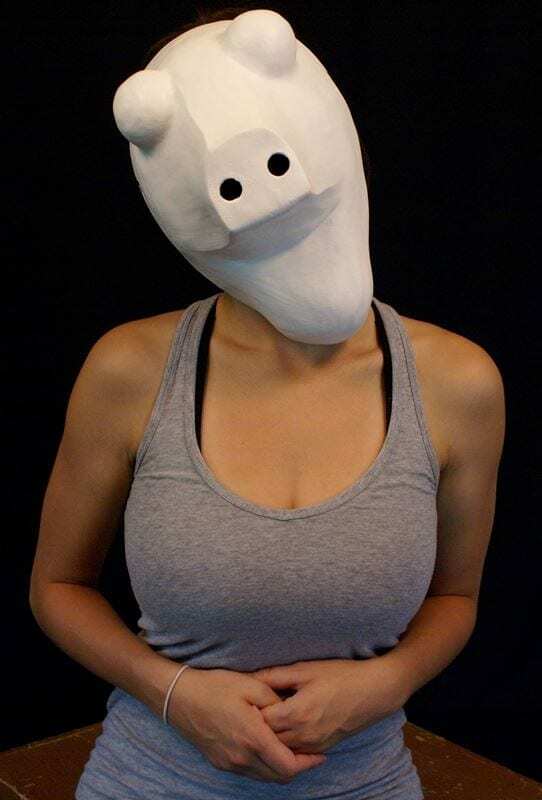 This mask has dog, pig, deer in the headlights, and moose fish qualities. Moose fish isn’t real but funny if you are reading all this copy. This larval is also designed to help the student actor to understand the importance of playing form. The eyes of the mask are different than where the actor is seeing out of the mask. The actor must then focus on the playing of the mask for the audience rather than a “realistic” partnership with the other masks. The mask has to be in partnership rather than the actor. In the training this draws ones attention to the fact that the actor has a relationship with the character and it is the character that has a relationship with the other characters. Then there is the relationship the story or event has with the audience. 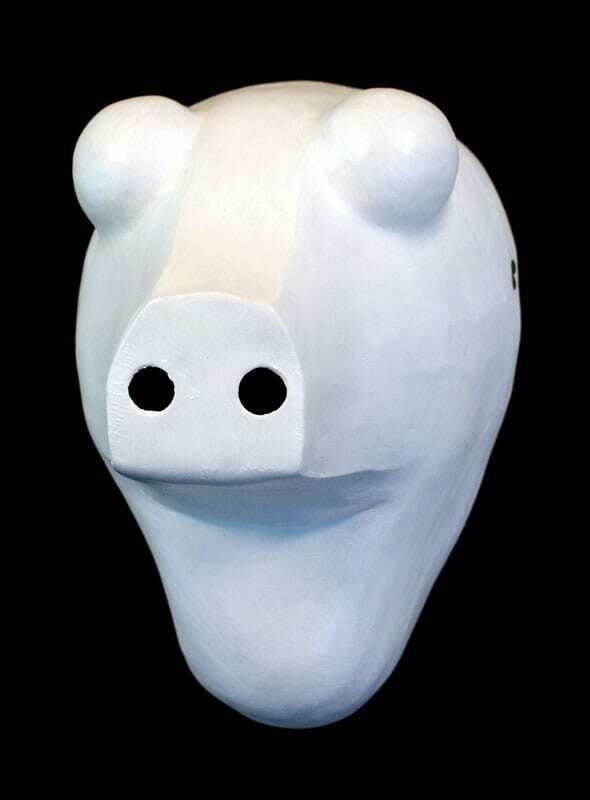 The larval masks were drawn into actor training by Lecoq at his school in Paris, France. They typically come between neutral and character mask since they exist a lower stage of development that character masks or commedia masks.